Are You Agonized by Day-to-Day Elbow Pain? 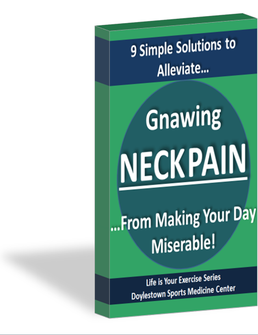 Do You Want to Reclaim Your Active Lifestyle and Get Back to Living a Healthy, Pain-Free Life? This report is perfect for anyone in their 40's, 50's or 60's who have been suffering with annoying elbow pain for weeks, months, or even years. A little "Elbow Grease" Not Doing Anything to Assuage Your Elbow Pain Symptoms? Need Expert Advice to Get You Back to Your Healthiest, Happiest Self? Do You Want to Take Back Your Quality of Life from the Symptoms of Elbow Pain? Are You Confused and Frustrated About the Causes of Your Elbow Pain? If you're reading this right now, you have already taken a critical step on your way to reclaiming your active lifestyle and getting relief from your elbow pain symptoms. I congratulate you on being an individual who values their health and wellness and wants to take action against your nagging, day-to-day elbow pain. We at DSMC are a private practice dedicated to providing specialized care for individuals like you. Your concerns, fears and frustrations with your elbow pain are real and need to be addressed. We are specialists that deal with elbow pain patients every day and understand how confusing the causes of elbow pain can be. We also understand that, despite your best efforts to manage elbow pain symptoms on your own, it can be difficult to produce lasting results. If you are looking for natural solutions to elbow pain, then you're in the right place. The first step in our evaluative process is to listen to your story and develop an understanding of how elbow pain has personally impacted your life. Next, our holistic approach focuses on getting to the root of what is contributing to your elbow pain so you can finally understand why this pain is occurring. Then, you can stop just treating the 'victim' (your elbow) and instead remove the 'culprits' that are leading to the elbow pain. While our Special Report can give you important, expert tips on how to alleviate your elbow pain, a comprehensive physical therapy evaluation allows us to target the specific factors contributing to your sharp or aching elbow pain. After evaluating your symptoms, history, and treatment goals, an individualized treatment plan will be created to resolve your specific ailments. We offer natural solutions to stop elbow pain before it gets worse, ultimately stopping you from doing the things that you love--be it playing tennis or rough-housing with the kids or grand-kids. Our goal at DSMC is to provide you with enough information so you can make an informed decision that can provide you with elbow pain relief and positively affect your quality of life. For a lot of people, a FREE telephone consultation is a good place to start. It's perfect for individuals who are nervous, tentative, skeptical or just don't have enough information to make a decision. We reserve these FREE telephone consultations for only those who are serious about their health and wellness and are interested in discovering the BEST solutions to their problems. This also give us an opportunity to get to know each other before you commit to a comprehensive physical therapy evaluation at DSMC. For many individuals, this is the next logical step to gain the elbow pain information needed to start their journey back to health and wellness. This approach allows both of us to decide whether we are a good match, meaning that we can help you in the way we hope and you deserve. Know that we can't help everyone out there with elbow pain. That's why we don't just take anyone on as patients. But if you can say "Yes" to any of the following statements, then you have come to the right place, and it's highly likely that we are going to make a positive impact on your quality of life. You are suffering from daily elbow pain that affects the way you move. Static postures like sitting, standing, driving affect your elbow pain. You have tried generic stretches and other elbow pain treatments with no lasting result. Your elbow pain is a consistent inconsistency. Sometimes it occurs with a certain movement, and sometimes it does not. Your elbow pain is holding you back from participating in golf, tennis, biking, running, walking and other social activities with friends. Your elbow pain restricts you from enjoying time with your kids or grand-kids. You're frustrated and concerned with why you are having recurring elbow pain. You have been unable to find a natural solution to your elbow pain, and medications are the only way to manage your elbow pain and stiffness. It's possible that you've just begun your search for solutions to your Elbow Pain. Your're looking for expert advice from years of experience that can help you right now--and you are in luck! Our Special Report, which includes tips/advice that has proven invaluable to our patients over the years, is valued at $27-- but we want you to have it for FREE! Clarity and hope in the confusing world of elbow pain. How to improve your daily movement to decrease elbow pain. Tips to avoid pain from static posturing. A small sample of simple, but often ignored, daily biomechanics mistakes that an Elbow Pain Specialist can help you with. Plus 2 additional Bonus Tips. Join the Many Others Who Have Benefited from this Information Throughout the Years to Alleviate Their NAGGING ELBOW PAIN...Before It Got Worse! Perfect for Sufferers of Elbow Pain Age 40+ Who Are Searching for Ways to Decrease Pain, Improve Functionality and FINALLY Rediscover Painless Daily Living! click here for instant access to your free Elbow pain report!